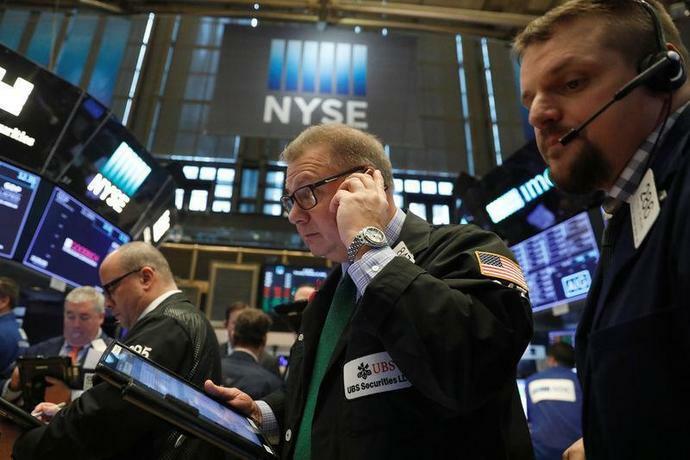 (Reuters) - U.S. stocks rose for a sixth straight session on Friday, putting the S&P 500 and the Nasdaq on course for their best week in more than six years, strengthening Wall Street's pullback after a brutal selloff earlier this month. The markets gave up a chunk of the gains after U.S. Special Counsel Robert Mueller's office said a U.S. federal grand jury indicted 13 Russian nationals and three Russian entities accused of interfering with U.S. elections and political processes. Investors fears of rising inflation and faster interest rate hikes, which had spurred a move from stocks to bonds, have been dulled by optimism over encouraging economic data and corporate reports, while volatility has also remained subdued. The fightback by the stock market has been led by technology stocks, as they have led the rally over the past year. The sector (.SPLRCT) was up 0.62 percent Friday, with Apple (AAPL.O), Microsoft (MSFT.O) and Alphabet (GOOGL.O) leading. "There are certainly parts of the market that are not hurt by higher rates and I imagine those stocks to move along. Particularly, technology stocks that not only don't have exposure to interest rates but have cash balances," said Rick Meckler, president of investment firm LibertyView Capital Management in Jersey City, New Jersey. Economic data also pained a rosy picture. Homebuilding increased to more than a one-year high in January, boosted by strong increases in the construction of single- and multi-family housing units. A different report showed import prices jumped last month. At 13:16 p.m. ET, the Dow Jones Industrial Average (.DJI) was up 0.31 percent at 25,278.45 and the S&P 500 (.SPX) rose 0.38 percent to 2,741.69. The Nasdaq Composite (.IXIC) gained 0.22 percent to 7,272.08. The S&P and the Nasdaq are set for their best week since December 2011, while the Dow is on track for its best week since November 2016. The CBOE volatility index (.VIX), known as Wall Street's fear gauge, eased to 18.91 points on Friday, way off the 50-point level it hit during the peak of sell-off. On the earnings front, nearly 77 percent of the S&P 500 companies that have reported fourth-quarter results so far have topped profit estimates, above the 72 percent average of the past four quarters, according to Thomson Reuters data. Coca-Cola (KO.N) rose more than 1 percent after the company reported better-than-expected profit and sales as it sold more teas, coffees and vitamin water. Among the big decliners was Kraft Heinz (KHC.O), which dropped 3.7 percent after the company's quarterly profit and sales missed analysts' estimates. VF Corp (VFC.N) fell nearly 10 percent after the apparel and footwear maker reported quarterly profit and revenue slightly below analysts' estimates. Advancing issues outnumbered decliners on the NYSE by 1,938 to 952. On the Nasdaq, 1,829 issues rose and 1,054 fell.